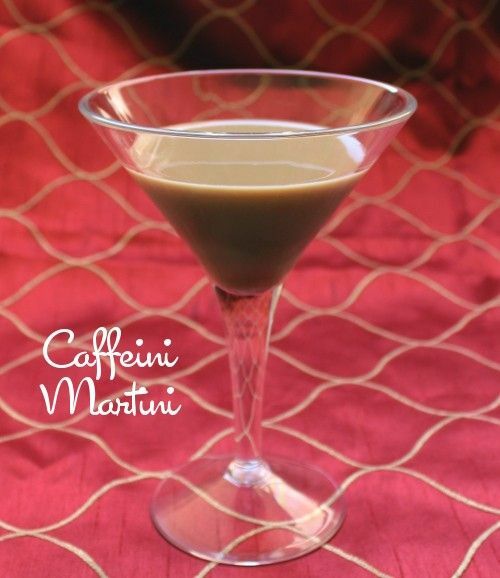 The Caffeini Martini sounds a lot like the Espresso Martini, but aside from the espresso, it’s actually pretty different. It blends Kahlua with chocolate and butterscotch liqueur, then adds some milk for creaminess. This makes it a rich, sweetened coffee drink with a kick. Because all the liquors in this drink are actually liqueurs, it’s not very strong. With generous dose of espresso, it makes for a nice afternoon pick-me-up. Try this drink when you’ve got a sweet tooth and aren’t going to want to fall asleep in the next few hours. Fill a cocktail shaker with ice. Pour in all ingredients and shake until chilled. Pour and serve.